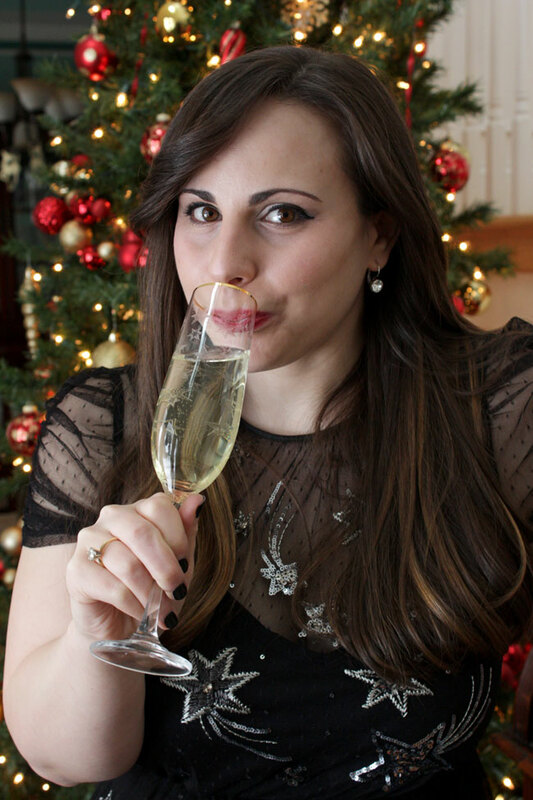 Stella Cadente: Happy New Year! Happy New Year! I hope you all enjoyed your holidays and time spent with loved ones. I have had a cold for the last few weeks, and it is finally just starting to get better. I think the thing I'm the most excited about this month is new episodes of The X-Files. Anyone else? Also, I am trying to schedule more regular visits to Mass Appeal this year, so if there are any topics you would like to see me cover in a live tv segment as opposed to a written blog post please let me know in the comments, in an email, or on social media because I want to produce content that you all enjoy and find helpful. Total PSA, because I got a lot of compliments on this dress. First of all, it's a maxi dress on me and it's meant to be a midi but I don't have a problem with that. Second, it came with a bodysuit with a snap crotch underneath it which made the entire dress look cheap, made it harder to go pee in (which is a huge thing for me), and I felt uncomfortable in it so I cut it out and got a full-length slip to put under the tulle. It transformed it into an entirely different dress, and I linked it below for that reason. Happy New Year! That dress is so fun! Ahhh I love how you just cut that part out of the dress. In the end you have to make it work for you, and it looks great. Hope you have a great New Year!! You look absolutely fabulous!! I love that dress! But, I totally would have done the same thing (especially being pregnant-- the snap body suit would have been a disaster haha!!). Happy New Year!! This is such a lovely post - you look gorgeous!! Wishing you a wonderful 2018, may it be filled with happiness and health! You are so sweet, thank you Layla! What a pretty dress!! I was sick too during the holidays, which was no fun at all! I hope you had a happy new year! Saw your posts on insta this weekend!You looked amazing! Oh that's a beautiful dress! So glad you could make it work for you by putting a slip under instead! :) Happy new year! Hope that 2018 has started nicely for you! Mine has been so enjoyable as I'm still on leave from work so I'm taking the opportunity to relax! That is such a gorgeous dress on you! Cheers to 2018! That dress is perfect for the holidays!! Happy New Year! Happy New Year gorgeous! LOVE that dress! Thanks Caroline! You're too sweet. 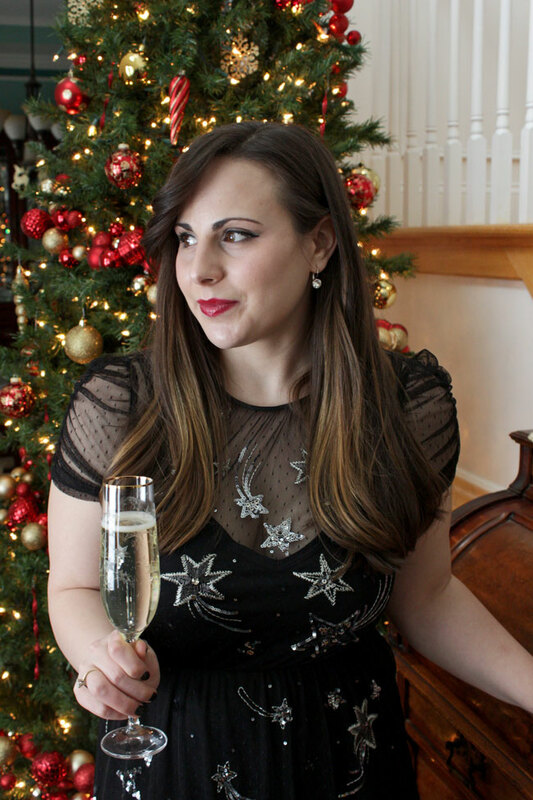 Loving that dress on you, lady- perfect for ringing in the new year! You have a really lovely dress dear. Love the sparkles, and it's really flattering on you! Such a pretty dress. Happy new year! oh that is such a pretty dress. You look so fab Lauren! 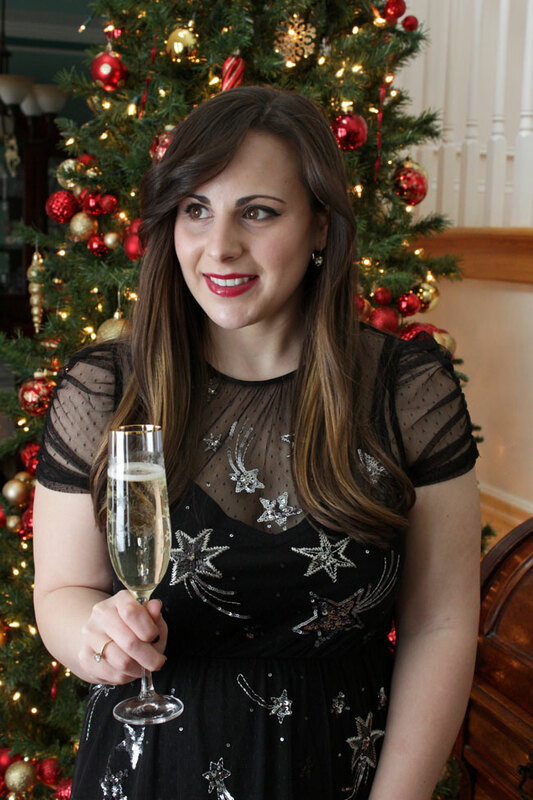 Cheers to the New Year and yes that dress is amazing!! Would love for you to stop by and check out the latest!